Last March, we had the opportunity to supply and install carpet roll for Playa De Lucia Bayview Hotel and Resort for all their hotel rooms. This newly built hotel resort is located in Atimonan Quezon which is about 5-6 hours from Metro Manila. 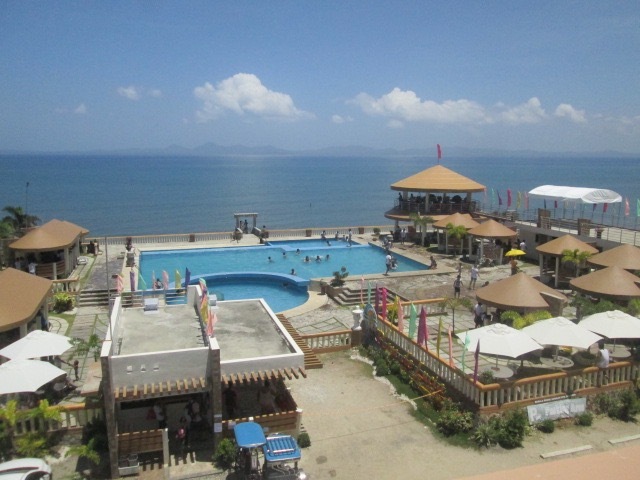 Its swimming pool and balcony view is overlooking a very nice view of the Lopez bay. The engineers of this resort located us in our Lucena, Quezon sales branch in Pacific mall and we were able to conduct an ocular measurement to a then bare rooms and present to them the available carpets for each rooms. The logistics for this project is quite challenging since the distance, materials and manpower needed is quite large. Luckily for them we’ve been doing this for a number of years already and nothing that we haven’t experienced before. The photo below on the left side is the bare one, and the one of the right side is the completed finishing with carpet flooring installed. 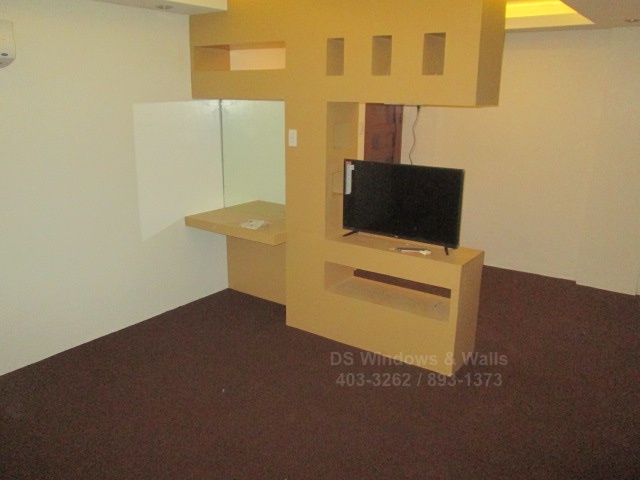 They chose Korona carpet dark brown color that matches the colors of their partition and cabinets. If you are in the business of hotels whether big or small, it is a tradition and almost always expected to have a carpeted flooring. Our company can provide you with any type of carpet from the most luxurious up to the cheapest ones. The most expensive ones are usually made up of 100% nylon and usually have some kind of pattern and designs and that can last at least 10 years while the more cheaper ones are made up of synthetic fiber that can also last at least 5 years depending on the foot traffic. There are lots of colors, texture, and design to choose from and you can view it at our online carpet catalog. Also, if you are looking for a new and nice resort to spend your weekend or summer vacation visit Playa De Lucia Hotel and Resort. 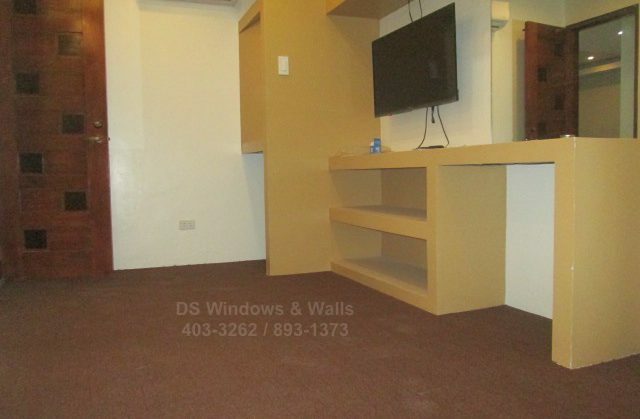 For more information on carpets call us at (02) 403-3262, (02) 893-1373, (02) 668-9668, or 0916-311-3909. Visit our sales branch at Waltermart, Robinsons, or Pacific Mall.